Han Soo-san, a novelist widely known for his refined and colorful writing style, has put out “Yongseoreul uihayeo” (Forgiving), an intricate mix of facts and fiction aimed at exploring the meaning and methodology of love. “On the one hand, I attempt to describe the late Cardinal Stephen Kim Sou-hwan who led his religious life devoted to love and forgiveness, and on the other I want to show how he influenced and rescued another human being, who had once fallen into despair,” Han said in an interview with The Korea Herald. Han said he did not have a personal relationship with the late cardinal, who was recognized as a spiritual leader across faiths, which helped strike a balance in putting together facts and fictional details. “By excluding subjective and personal memories about him, I believe I offer a more objective perspective about his life,” he said. Published by Hainaim, the novel places Han himself as a key character along with Cardinal Kim and details a particularly painful incident that stemmed from the country’s tainted and shameful past. Back in 1981, Han was contributing to a serialized novel called “The Street of Desire” to JoongAng Ilbo, a daily newspaper. He satirized then President Chun Doo-hwan, not knowing how ruthless the military regime was in cracking down on any dissenting voices. He and other newspaper officials were immediately interrogated and tortured by a government agency. The incident shattered Han’s life and shook up his notion about life and literature. He struggled with the trauma of the experience for several years and left for Japan in 1988 to attempt to forgive and forget. In the novel, Han’s checkered life and Cardinal Kim’s spiritual life are juxtaposed in a way that highlights the importance of reconciliation before any effort at forgiveness is made in earnest. “When Cardinal Kim urged Korean people to love each other, I got an impression that some took the message as something sentimental. Before we love each other, I think we should resolve old conflicts in the spirit of reconciliation. After all, there’s no love until we forgive each other,” Han said. 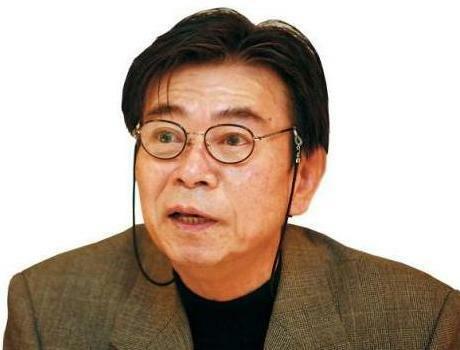 Born in 1946 in Gangwon Province, Han majored in English literature at Kyunghee University and made a debut as a novelist in 1972 with his “The End of April,” winning a literary award organized by Dong-A Ilbo newspaper. Many of his novels, particularly “Bucho,” appealed to Korean readers in the 1970s, catapulting Han to the top ranks of Korean writers. Han built up his reputation as a writer who incorporates a poetic writing style into his thought-provoking novels, many of which are concerned about the importance of life. “Forgiving” is Han’s latest novel after a seven-year hiatus, reflecting his shift of focus toward historical themes and non-literary topics such as Korea’s Catholics. Han, a professor of Korean literature at Sejong University, said he recently became concerned about the fast-paced developments that are threatening the domestic publishing market. Han himself was one of the few pioneering writers who embraced technological innovation led by personal computers in the mid-1980s. It was in 1985 that Han used a word processor for the first time with the help of a government-led push for the digitalization initiatives. It was a primitive, bare-bone word processor, but at the time it was nothing if not a cutting-edge technological gizmo that rendered old-fashioned handwriting virtually meaningless. “I was connected to a dial-up online network called Chollian in 1985, and the number of all the users on that network was just 500. Since I had to do something with my account, I began to upload a poem on a daily basis, which I think was a sort of online serialization,” Han said. When he returned from Japan in 1992, Han got a chance to formally serialize his novels on Hitel, another dial-up communications network, a move that was too far-sighted to be understood by other contemporary writers. The domestic publishing industry is scrambling to catch up with the rapid innovation toward e-book spearheaded chiefly by foreign players such as Apple Inc.
As for the disruptive changes, Han’s belief remains the same: Embrace new technologies and adapt as quickly as possible. “With the rise of e-book and digital media, the identity of writing and literary genres will change, and what we can do is to adjust ourselves to the new trends,” he said.